Following the NHL lockout of 2004-2005, the hockey league’s image and rules have gone through many major changes. One of the changes was the league’s redesign of the NHL jersey template. Designed by Reebok, the new jersey offered a tighter, cleaner and more modern look which was greeted with mostly positive reviews from players and fans. Now the teams were able to take this new template and incorporate their team logo and colors however they saw fit. During the 2010 NHL Draft, many teams took the opportunity to introduce revamped jerseys with new logos or designs to their fans, hoping to answer the call by many fans for some sort of creative change. Although a few of the teams jerseys were seen as too flashy or too boring. 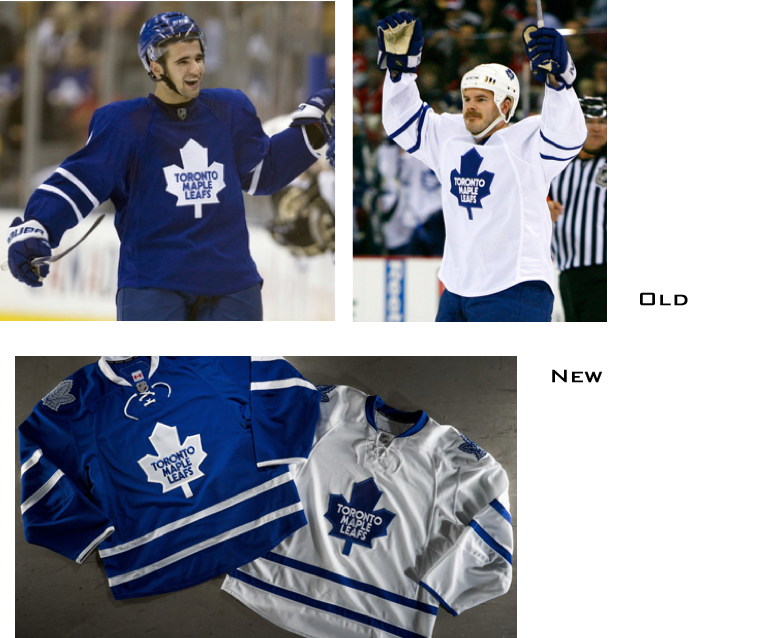 Before the Toronto Maple Leafs redesigned their jerseys, fans described their previous jerseys as boring and unexciting. So for the upcoming hockey season, the team implemented an extremely small change, which is being met with very positive feedback from fans. Even though they only added 2 horizontal lines to the bottom of their jersey and a new lace-collar, the Maple Leafs were able to revamp their image while still keeping their classic look. A change of image for a company, or in this case team, doesn’t always need to be extravagant or extreme to gain positive feedback. 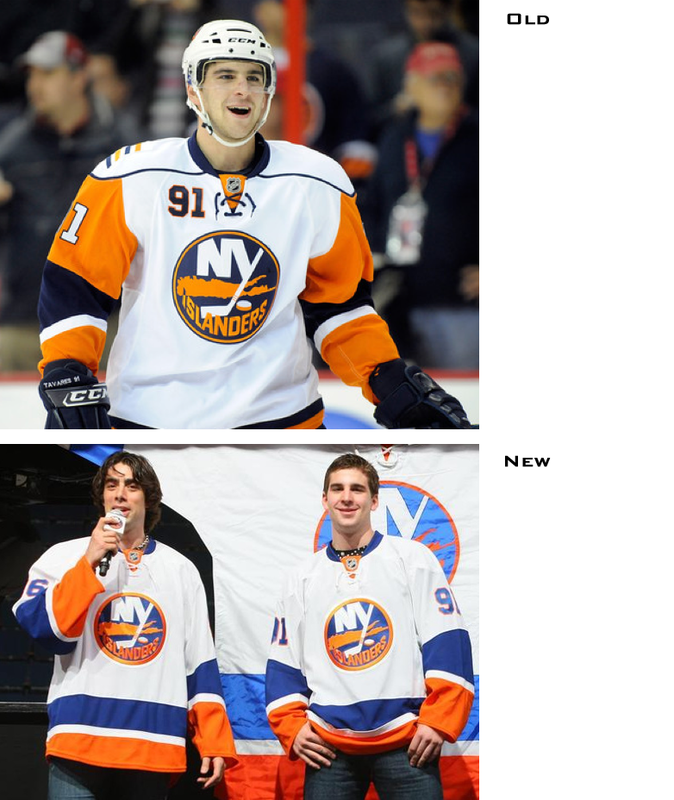 Another team that introduced a new design for their jersey was the New York Islanders. Responding to fans’ request for a return to a more vintage look, the Islanders unveiled their new home jerseys and received extremely positive reviews. Again, this is a very small change. The Islanders are a team in the middle of a rebuilding period and they hope that their new jerseys will mark the resurgence of their team and also create a sense of excitement among fans. A small ‘face lift’ to your image or logo can make all the difference in sending a positive image to customers and fans alike. By doing this you can send the message that your company is always moving forward and takes its customers feedback into consideration. Here at J.M. Field Marketing, we know more than anybody that sometimes all a company needs to create a spark is an image change. We specialize in updating and improving a company’s image to grab their customer’s attention.